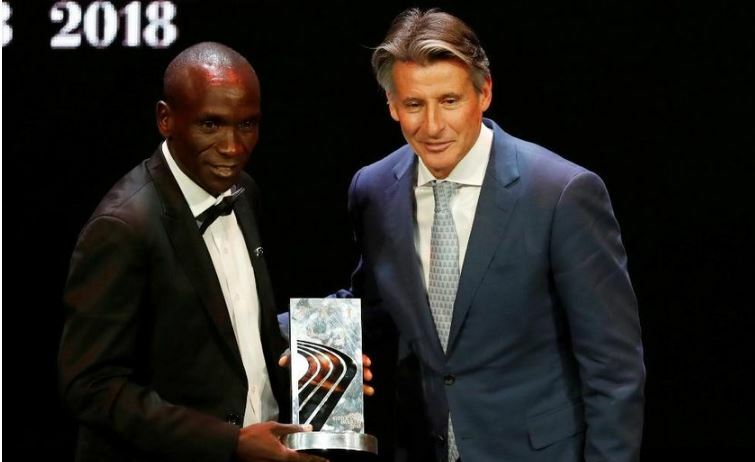 Kenya’s marathon world record holder Eliud Kipchoge has been named the male World Athlete of the Year at the IAAF Athletics Awards 2018, held at the Grimaldi Forum in Monaco on Tuesday (4). Steeplechase world record holder Beatrice Chepkoech was a finalist. 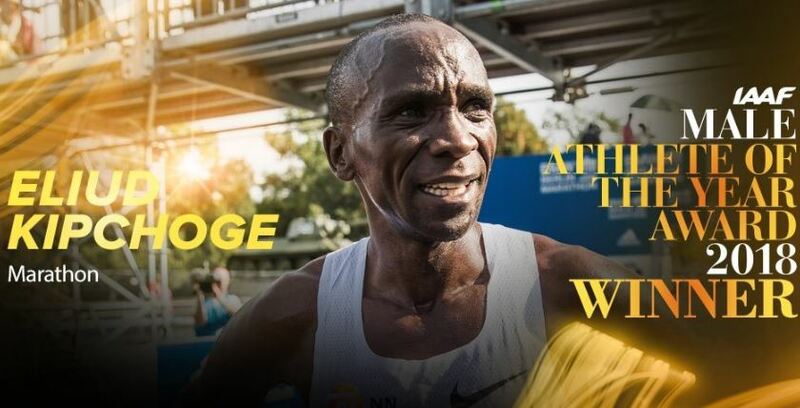 Olympic champion Kipchoge shattered the world marathon record by 78 seconds as he completed the Berlin Marathon in two hours, one minute and 39 seconds while Ibarguen was the Diamond League champion in both the long jump and triple jump. The marathoner is a first-time winner of the coveted award and second Kenyan in history to be crowned IAAF Male Athlete of The Year. Kipchoge’s performance marked the biggest improvement in the marathon record since Australian Derek Clayton took almost two and a half minutes off the mark in 1967. The 34-year-old also won the London Marathon in 2018. The world-beater also missed by 26 seconds breaking the magical two-hour barrier when he crossed the line in 2:00.25 in a special race on the Monza circuit in Italy in 2017 that was not eligible for record purposes. 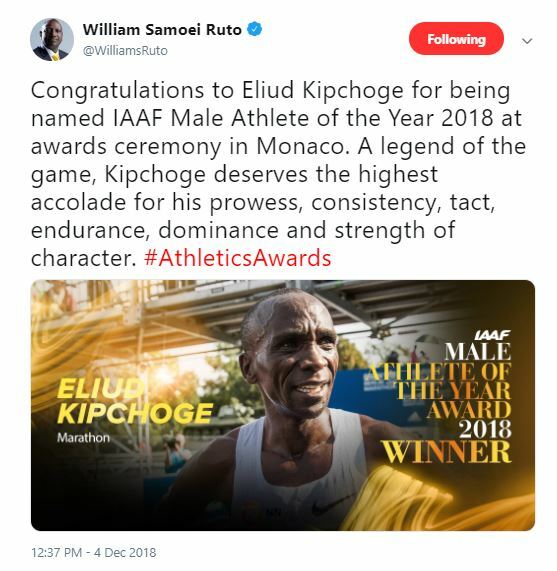 Deputy President William Ruto was among the first people to congratulate Eliud Kipchoge on the award. Taking to his official Twitter handle on Tuesday night, DP Ruto described Eliud Kipchoge as “legend of the game”.